Upper Paugussett SF: It's Official - The Upper Gussy is on the State Map! It's Official - The Upper Gussy is on the State Map! 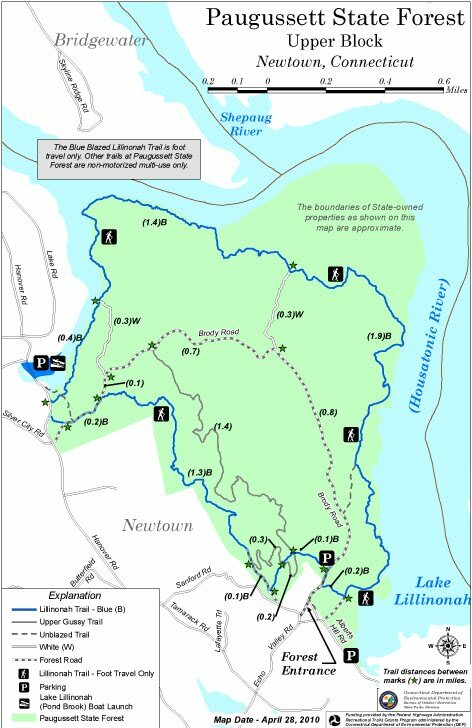 Jerry Milne from the State DEP Forestry division emailed me the link to Paugussett State Forest, Upper Block, with the new map showing all the recoginized trails in the forest. 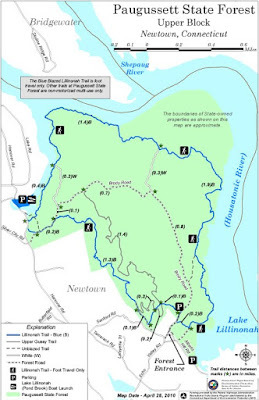 You will note that there seems to be a lot of emphasis on the fact that the blue trail is for hiking only.